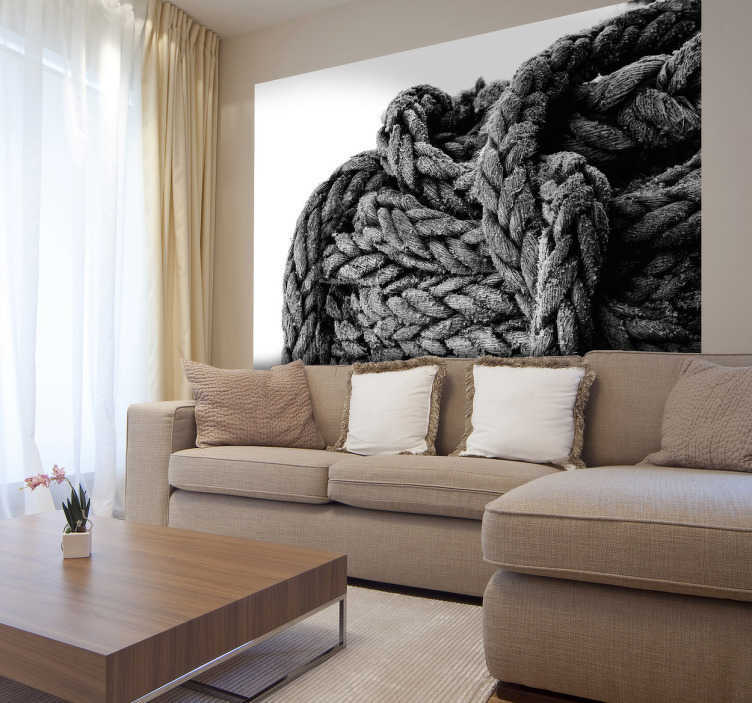 This fantastic photo mural of a sailor rope from our collection of sea wall stickers is ideal for those that love photography and the sea life. Decorate your living room and get rid of the emptiness created by empty walls. Create an atmosphere that you will love with a lovely photograph. A seaside wall art decal that will make your living room stand out. This sailor rope mural is very easy and quick to apply. It leaves no residue upon removal. Available in various sizes.